Galectin-1 activates tolerogenic programs on dendritic cells through mechanisms involving IL-27 and IL-10 secretion. These circuits instruct DCs to become tolerogenic, favoring the resolution of autoimmunity and contributing to tumor escape. 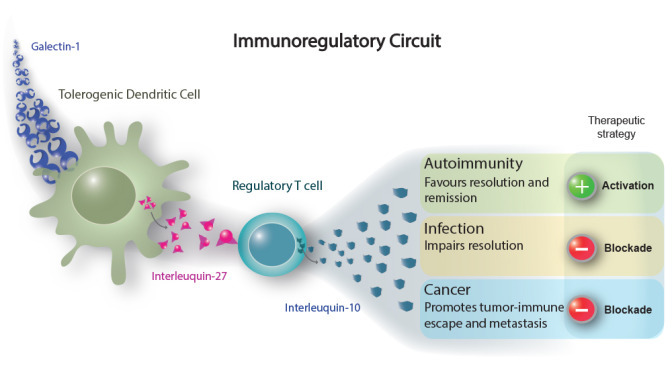 Ilarregui et al, Nature Immunology, 2009.